One to One Estates, north London's favourite premier independent agency, offer a friendly reliable service to landlords. 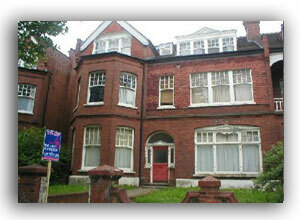 We are a respected company and offer our landlords the very best calibre of tenant possible. Our good reputation depends on it. Should you be entering the letting business for the first time, we will always be here to give you the very best advice possible and above all else you can do so in complete confidence that One to One have your best interests at heart. One to One Estates are always open to new ideas and will strive to ensure your protection in the marketplace. Landlords instructing One to One Estates to handle the letting of their property do so in the knowledge that their interests are thoroughly safe guarded. Information on all the above is free of charge and without any obligation on your part. In fact we offer the most excellent of services at competitive fees.